I’ve heard every single one of these remarks—and some of them many times!—at this year’s Oracle OpenWorld show, and at recent customer onsites in the last few months. OK, I work for the company that develops Toad solutions. So naturally I get pumped when I hear such glow about our Toad products. These statements provide insight as to WHY the WHAT is highly valued. Toad is a valued product because it was crafted from Day One to increase productivity and promote quality database change with less risk. And for almost all customers, this equates to dollar savings. Sometimes BIG dollar savings. Ah, but when customers tell me HOW they do the WHY with the WHAT, oh, that’s where it gets REALLY beautiful! I started a blog series in one of our Quest Communities a while ago on this very topic. 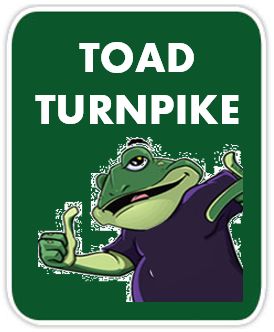 The series is entitled “Toad Turnpike: Real Stories from the Road”, and I’m continuing it here, in Toad World. Of the millions of Toad users—yes, millions of paying customers across the globe!—some of these customers use Toad in creative ways to accomplish things that simply make a difference. Some of those differences might be small, but some are big, some important, some strategic. Like the lady who used Toad to save her company over $40,000 hard cash. No kidding. That statement says Toad, the WHAT, is awesome in a big way. And the $40,000 WHY part of that statement can’t be argued with. But if you’re intrigued as to HOW Toad did it for her, read here. Or how about this development lead who could have saved two man-days of investigative effort on a troubling issue? If only he had known HOW Toad’s Code RoadMap feature could have minimized time to resolution, he could have minimized the time his rear-end was in the hot seat, and prevented proverbial third-degree burns on his backside! I know that you’ll be encouraged by these stories and others like them. I’m hoping they will encourage you enough to do some “off-roading” of your own in Toad, and make a difference in your company. He’s asking for justification. My first thought is, “Whoa, losing some of your highly-valued people isn’t reason enough! ?” OK, I’m not saying that out loud. My second thought is that he should get the reasons directly from his team members. I’m not saying that either. Then, wow, how do you answer such a question? I think about this for a few moments, and several customer stories come to mind. I choose to tell the account of a Mortgage Lending customer who had a project to automate most of their QA department’s processes. Bottom line? Toad helped to complete the project two months AHEAD of schedule! That kind of example would be justification for many folks. However, the Director’s cell phone rang just as I was about to explain HOW Toad made this happen, and he had to step away. I didn’t see him for the rest of the show. Well, I don’t like to leave people hanging, even if it’s not my fault. So, for this IT Director, wherever you are—and for others who want to hear the happy ending to my cliff-hanger—I’ll let you guess at the HOW part of the story until I post the details in the next blog. HINT: If you’re already guessing that Toad’s workflow automation engine is the answer, you’ll get bonus points from me for even knowing that Toad tasks can be automated, congratulations. But Toad’s automation capabilities played only a small part of the solution. The HOW in this case involved a feature that few Toad users know about, even though it’s been in the product for years. Stay tuned! The real-world story continues. Please visit Part 2 for the interesting conclusion.